Gerald Shapiro, Cather professor of English, died unexpectedly Oct. 15 in Lincoln at age 61. Services are pending. 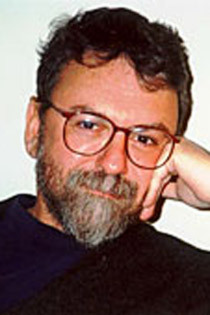 Known nationally as a compiler of Jewish fiction and an author of several books including "Bad Jews and Other Stories" (1999 Zoland) and "Little Men" (2004 Ohio State University Press), Shapiro's writing and anthologies earned numerous awards including the Ohio State University Short Fiction Prize for "Little Men," the Edward Lewis Wallant Award for "From Hunger" (1993) and as a finalist for the National Jewish Book Award for Fiction ("Bad Jews"). He also received a Special Mention award from Pushcart Press for two stories, "Lakeview" (Greensboro Review) and "The Marine Mammal Guy" (Gettysburg Review). In 2004 he co-wrote the screenplay for "King of the Corner," based on a collection of his short stories, focusing on the place of secular Jews in contemporary American Society. The film's co-author Peter Riegert starred as the lead role, Leo Spivak. Shapiro in 2008 wrote a story about Hanukkah for National Public Radio that was featured on the "Hanukkah Lights" program. Shapiro came to UNL in 1987 with wife Judith Slater, also a professor of English. He grew up in Kansas City, Mo., in the only Jewish family in the neighborhood, receiving a traditional Jewish education and raised in "an extremely traditional Jewish home." Those experiences navigating the world surrounded by non-Jews informed his often-comedic writing. So did his battle with Hodgkin's disease, diagnosed in his 20s. "The experience changed me, I suppose," Shapiro said of Hodgkins' disease in a 1999 news release, "but not in the way one would have predicted. It did not make me into a more serious person." His character Shifman in "King of the Corner" is battling Hodgkins' disease, a "shlimazel" suffering through indignities and misfortunes. "I wanted to write a story about cancer, about a serious illness," Shapiro said. "But as so often happens when I start writing a story about something that is very serious, it turned into something that, while serious, was couched in terms that were essentially comic." Shapiro earned a College of Arts and Sciences distinguished teaching award in 1997. He regularly taught fiction writing, 20th century fiction and Jewish-American fiction. Susan Belasco, chair of the Department of English, said Shapiro was "a talented writer, a gifted teacher, and a superb colleague." "The English Department -- the faculty, office staff, and generations of students -- will miss his quick wit and keen intelligence," she said. "We are all saddened by the loss of our most generous teacher/mentor/friend." Shapiro earned his bachelor's and master's degrees at University of Kansas and received his MFA from University of Massachusetts. The Department of English will host a celebration of the life of Shapiro on Friday, Dec. 2, from 3-5 p.m. in the Bailey Library on the second floor of Andrews Hall.